Dog Justice for Mentally Ill: Mitrice Richardson: Another Police Cover-up? 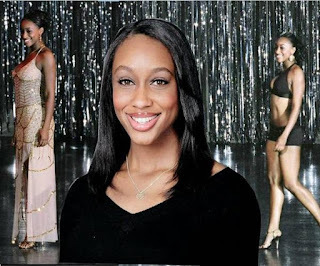 MITRICE RICHARDSON - a beautiful 24-year-old college graduate disappeared after her release from jail custody near Los Angeles, California in 2009. Who can prove she was ever really released? Mitrice's story was on "Disappeared" on Mon. Nov. 20, 2012, at 10:00 p.m. ET on ID. Larry Neal's family was told he was not incarcerated in Memphis/Shelby County Jail for 18 days. His social worker and family were continuously told lies: "Larry Neal is not in custody." 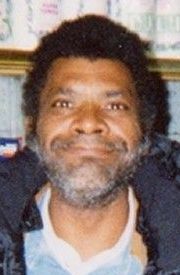 The morning Larry died, August 1, 2003, police finally admitted to Larry's family that he had been in jail during his entire time "missing." Nine years after Larry Neal's secret jail death, the government REFUSES to say how they killed Larry Neal, but his sister is stalked and censored to prevent disclosure about his murder under secret arrest. Timothy "Bulldog" Allen disappeared after talking with police on a bridge in St. Joseph, Michigan in November 2011. Police refused to drag the lake when Allen's family and community searched for him, but his body surfaced in the lake a month later. What is happening to black people who experience mental health problems? Mitrice Richardson's bones were found in the desert a year after her "disappearnce." Police claim they released her on foot at 1:30 a.m., a few hours after her arrest, but is that the truth? Mitrice Richardson's disappearance in or after police custody is far from being an isolated incident. See "Patrick Toney - Death in Custody After Mental Breakdown" http://marylovesjustice.blogspot.com/2012/04/patrick-toney-death-in-custody-after.html Are mentally ill black people being treated as expendable like the 300,000 mentally challenged people who were Nazi Germany's first Holocaust victims? Hear a recording at this link of Mitrice Richardson's mother asking police not to release her daughter until morning when she could come and get her (Huffington Post): "WOMAN KILLED AFTER RELEASE FROM POLICE CUSTODY" http://goo.gl/IXAE0 . Mitrice Richardson's mother is heard telling police that Mitrice did not have her car and should not be released in the middle of the night in an unfamiliar area. Police claimed that is exactly what they did, but did they really? The censorship force that was hired to contain my advocacy for justice for America's mentally ill people fought me about publishing news about Mitrice Richardson's disappearance. They refused to let her photographs show on the link to the petition for a federal investigation that was launched after her "disappearance." Cyber stalkers prevented my posting news about Mitrice Richardson at Assistance to the Incarcerated Mentally Ill (AIMI) site at Care2 several times, but I was persistent and finally got the news to post. Why did [government?] cyberstalkers want to interfere with my posting news about Mitrice and her missing poster? I captured much of the interference I encountered reporting Mitrice's disappearance on videotape. Mitrice Richardson's post kept disappearing from AIMI like this video that proves cyberstalkers prevented my right to advocate for Medicaid to be resumed as insurance for mentally ill inpatients H.R.619 Advocacy Censored at AIMI http://www.youtube.com/watch?v=mTnBUYoJtk4 At Care2, Mary Neal's video captured censorship regarding H.R.619 - the congressional bill introduced by Rep. Eddie Johnson in Jan. 2009 to resume Medicaid for mentally ill Americans to have hospital insurance. Medicaid was removed as a funding source for mental hospitalization decades ago, and it led to 1.25 million sick people being incarcerated today. H.R.619 has zero news coverage despite its relevance to milions, and Assistance to the Incarcerated Mentally Ill members are censored when we post info about the bill online. I am usually censored no matter what human rights issue I write about at Assistance to the Incarcerated Mentally Ill (AIMI) at http://www.Care2.com/c2c/group/AIMI - It often takes many tries before posting news, especially advocacy for H.R.619 and anti-death penalty reports. MARY NEAL'S CARE2 SHAREBOOK - WHAT HAPPENED TO MITRICE RICHARDSON? Repeat of paragraph 1 - MITRICE RICHARDSON - a beautiful 24-year-old college graduate disappeared after her release from jail custody near Los Angeles, California in 2009. Who can prove she was ever really released? Mitrice's story was on "Disappeared" on Mon. Nov. 20, 2012, at 10:00 p.m. ET on ID. Larry Neal's family was told he was not incarcerated in Memphis/Shelby County Jail for 18 days. His social worker and family were continuously told lies: "Larry Neal is not in custody." The morning Larry died, August 1, 2003, police finally admitted to Larry's family that he had been in jail during his entire time "missing." Nine years after Larry Neal's secret jail death, the government REFUSES to say how they killed Larry Neal, but his sister is stalked and censored to prevent disclosure about his murder under secret arrest. Timothy "Bulldog" Allen disappeared after talking with police on a bridge in St. Joseph, Michigan in November 2011. Police refused to drag the lake when Allen's family and community searched for him, but his body surfaced in the lake a month later. What is happening to black people who experience mental health problems? Mitrice Richardson's bones were found in the desert a year after her "disappearnce." Police claim they released her on foot at 1:30 a.m., a few hours after her arrest, but is that the truth? Mitrice Richardson's disappearance in or after police custody is far from being an isolated incident. See "Patrick Toney - Death in Custody After Mental Breakdown" http://marylovesjustice.blogspot.com/2012/04/patrick-toney-death-in-custody-after.html Are mentally ill black people being treated as expendable like the 300,000 mentally challenged people who were Nazi Germany's first Holocaust victims?